New in. A little something I've had my eye on for a while now. It takes a lot for a bag to pique my interest. Le Boy immediately caught my eye and went to the top of my wish list when it was released in 2011. I knew it was time to invest when after 4 years I still felt the same way about it and the prices are only going up! I'm drawn to it's edgy, architectural and more minimalist vibe. It's got that rebellious tough-luxe-look, yet still feels like a true classic. 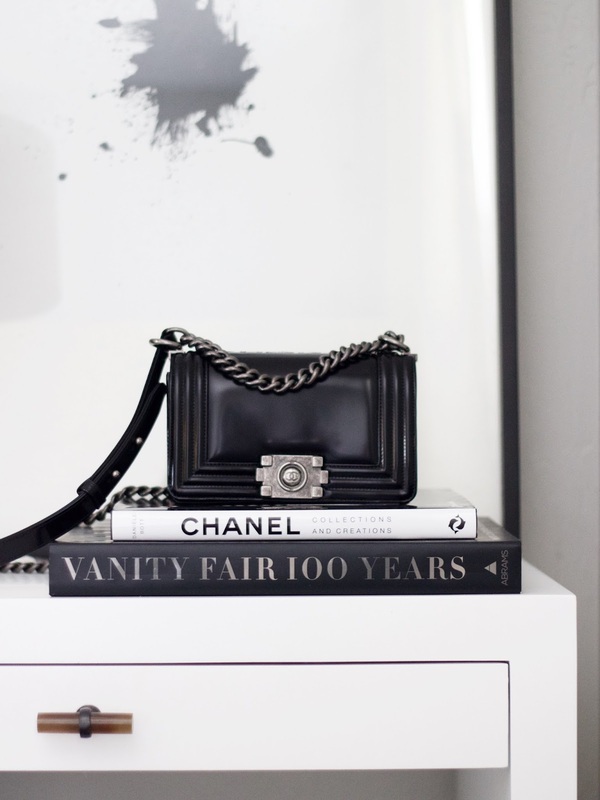 The perfect marriage between the boyish charm and feminine allure that Coco Chanel was known for. Some people collect fine art or cars. Handbags are my weakness. They are wearable and functional art in my opinion. Shout out to my SA at Chanel San Francisco, Chris for going above and beyond trying to locate exactly what I wanted. I've received lots of emails from friends and readers about how to care for leather bags. I make sure all my leather pieces get cleaned and treated with conditioner every few months. This protects them from scratches and stains, keeping them in tip top shape. Using a soft smooth cloth, I gently massage this Cadillac lotion on, let it dry for a few minutes then buff. 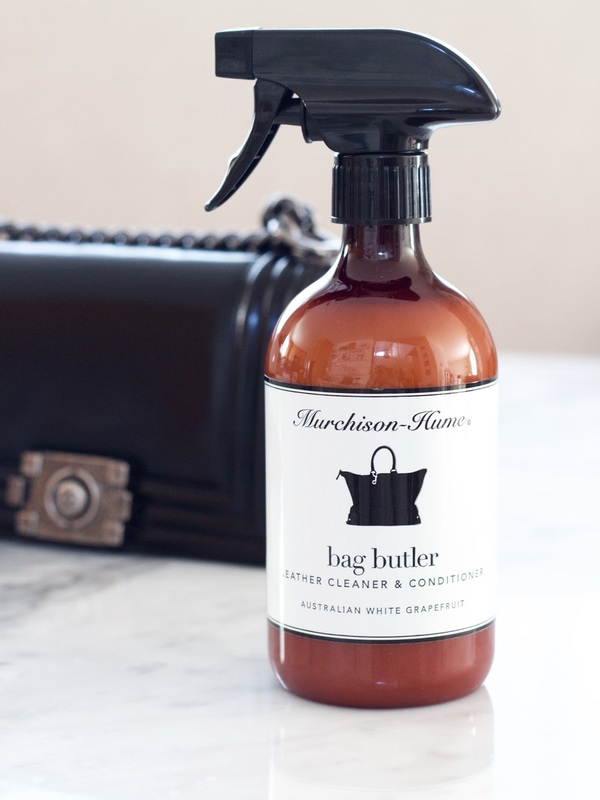 For in-between cleanings I like to use Murchison-Hume Bag Butler. Suede requires a protective spray and a special brush, available at any leather goods store (I get mine from the shoe department in Nordstrom). It's really important to keep leather moisturized and away from sunlight. I always store my purses in their cotton dust bags (never plastic), so the leather can breathe (tip: old pillowcases work well if your bag didn't come with one). Thanks so much for dropping by! Don't forget to #treatyoself once in a while. 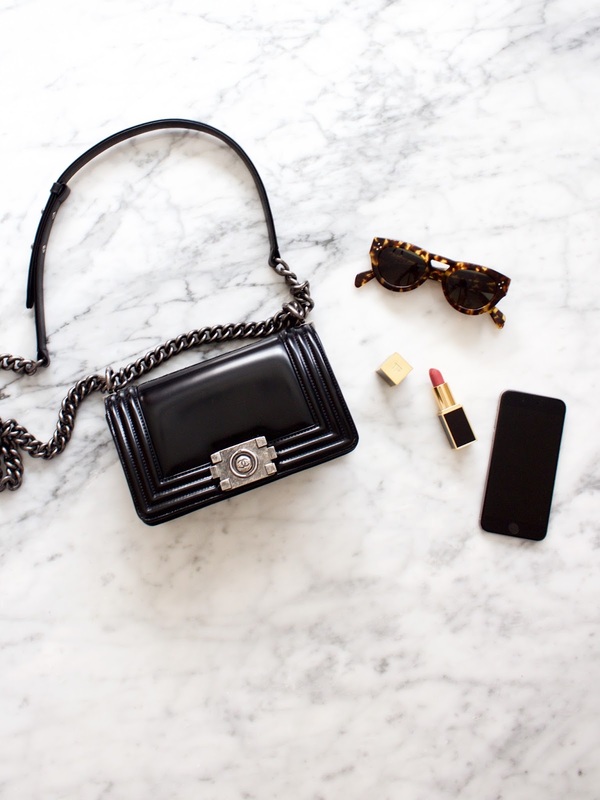 Chanel Small Boy Bag in Glazed Calfskin, Fall 2015 collection. Tom Ford Lipstick in Indian Rose. Celine Sunglasses.